Our Kickstarter Campaign reached a point where we realized we would not get funded, so we decided to cancel the project (for now). Crowdfunding is a concept that is still only a few years old and there is a lot to learn. There’s a ton of stuff you simply cannot learn before hitting that launch button either. We would like to thank each and every one of you who supported us. 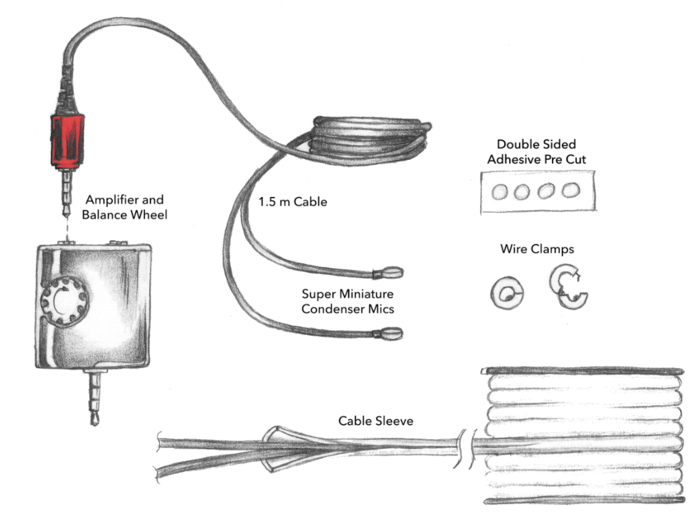 We still believe the Ambient Microphone Kit is a life-changing device and we would love to see it go to the market. We may not have reached our funding goal, but we reached out to you and found out about the features you want in a device like the AMK, and that is far more valuable at this point. The biggest takeaway from this experience: if you’re planning to do a Kickstarter Campaign, make sure you’re not doing it in the middle of everyone’s Holidays. Even with a solid plan, things can happen in unforseeable ways. We would like to thank you again for your continued support for POSSE Audio. We’re down to 30 days on our Kickstarter Campaign for the revolutionary new AMK. We’ve learned so much since we went live with the Kickstarter project. Not only because there is a learning curve with KS, but because we’re trying to reach a whole bunch of new people. We’ve been digging into different niche area’s that might be interested in the Ambient Microphone Kit, and received some great feedback from all kinds of people: musicians, audiophiles, sports and safety advocates. The big update today is about our windscreen protector! Using microphones outdoors, we needed to design something that can efficiently minimize wind noise without being too bulky. We just posted new pictures on kickstarter of our latest prototype with the windscreen protector. The windscreen protector has two parts. The acoustically-transparent screen, which effectively minimizing wind noise when using the AMK outdoors, and the shock-absorbing capsule, designed to keep wind out. Every one of our backers wants this thing to happen, and we believe this is a game-changing device, we just need to get more people involved! We would like to invite you to flood our inboxes with your demands and ideas for the project. Whether it’s for the design or just helping getting our name out there, or maybe you have an idea for the logo. Whatever it is, we want to hear from you! Time is running out! So check us out on kickstarter, and tell us how you want to experience your ambient sound. We all know that floor wedge monitors are not the way to go for a live show. They never sound great, and the people in the first 3 rows of your audience will hear their overdriven sound. So we can all agree that using in-ear monitors (IEMs) is the right choice, but the premium sound comes with a drawback. With the front-of-house mix coming in directly to your ears, you lose the ability to hear whats going on around you. This is why the P.O.S.S.E. (Personal On-Stage Sound Environment) comes with built-in ambient microphones. Turn up the “Room” knob and that closed-in feeling you get from wearing earphones goes away! Besides the “Room” knob, the POSSE also has mixing knobs for your “Vocal Mic”, “Instrument” and “Aux” which is used to channel in the front-of-house mix. No other monitoring system has all of these features! The POSSE is also fully compatible with wireless microphone and monitoring systems to gain ultimate freedom on-stage for your performance. The POSSE let’s you hear yourself with crystal clarity, so you won’t be singing or playing harder than you should, just so you could hear yourself, thus saving your strength for the next gig. You’ll hear better, sing better and play better because the POSSE let’s you choose exactly what you want to hear in your monitors. Every show you do will sound exactly the same in your monitors, freeing you from the grip of the grumpy sound guy who doesn’t really care about getting the right monitor mix for each musician. With the POSSE, you can quickly dial-in the same mix to every show. No longer do you have to worry about dealing with crappy monitors at your next venue. POSSE can be set up in a number of ways to accomodate all types of musicians. Singers, Guitarists, Bassists, Keys and Drummers all love what the POSSE can do for them. Churches will often have a set of POSSE’s permanantly installed and daisy-chained to each other. It is completely compatible with wireless microphones and monitoring systems. POSSE is perfect for rehearsing or recording demo’s at home. It’s a simple set-up and the ambient mics give you the ability to hear what happening around you, like someone knocking at your door. Check out our page on setting up the posse to learn more. 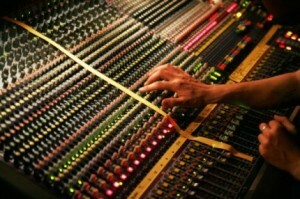 How Much Do Audio Engineer’s Make? The U.S. Institution of Work Data reviews that the average yearly income for audio technological innovation experts was $43,010, with the top 10% in the area bringing in more than $90,770 and the end 10% making less than $21,050. Though the music technological innovation area is not the largest — the Institution of Work Data reviews that somewhere in the variety of 100,000 to 200,000 people are currently applied in it — the prospective for development is there. Actually, the authorities tasks that career within music technological innovation and relevant work is predicted to improve by 17% between 2006 and 2016. Sound technological innovation experts in particular, will see a 9% improve in career during the same interval. But there’s more to it than that! Audio designers are required in essentially every advertising market — whether it’s to dub a TV present, mix a film soundtrack, or help make the newest hit CD — so you’ll find quite a few alternatives when it comes to discovering a job. However, the Institution of Work Data does advise that job rivalry for music designers in cities can be very intense since incomes are greater and the people are extremely capable. And it’s not just advertising markets either, media permeates every facet of modern life. You probably don’t realize how much prerecorded audio you actually listen to. Everything single recording you’ve ever heard has an engineer behind it, probably spending countless hours getting it to sound just right. So don’t be discouraged by our modern music industry, there’s a lot of work out there! In the 60’s, many PA techniques were of high enough quality that companies had unwanted audio system, and normally, started transforming them around to notice themselves better. These old fashioned tracking remedies were the start of an complete industry: an market dedicated to assisting performers notice better. These days, in-ear tracking – the use of small audio system in your reading – has been becoming more popular over conventional keep track of audio system both on level and in house companies. Both provide their pros and cons for Sound Engineers. Wedge – or presenter – tracking is the normal for both house companies and stay popular music organizations. In stay audio, the pitching wedges are fed from either a individual keep track of panel, which requires a divided from the level and makes a personalized made mix for each artist, or fed from the additional delivers of the front-of-house audio panel. Monitor pitching wedges are often very loud; they’re acknowledged with being one of the factors operating performers have to be so careful about their reading health. The benefits to pitching wedges are very crystal obvious — a lot of performers desire pitching wedges because it allows them to type a personalized made hearing atmosphere that features not only the pitching wedge and the mix returning from it, but their instrument amps and the re-verb of the room. However, most audiologists agree: the loudness of pitching wedges is bad for your reading. 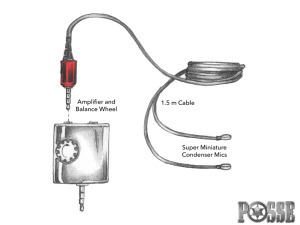 Wedge tracking is also difficult for operating companies who have to provide their own PA systems; the techniques are hefty and need a lot of installation time. In documenting companies, presenter tracking is the normal. It’s complicated to get a excellent mix on headsets unless they’re very smooth and precise. Speaker tracking is also the best way to see what a mix will audio like on a wide range of techniques. 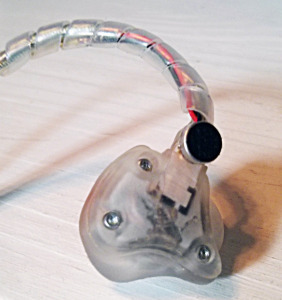 In the beginning of in-ear tracking, designers like Marty Garcia at Upcoming Sonics were placing share Panasonic headsets in raw ear-molds attached to hard-wired amps. Now, 20 decades later, we have incredibly complicated in-ear systems; custom-molded earpieces with two or three audio system in each (to manage the mids, peaks, and amounts separately) are becoming the normal, and many in-ear screens are making use of normal techniques into their earpieces to decrease the discovering challenge on in-ears. 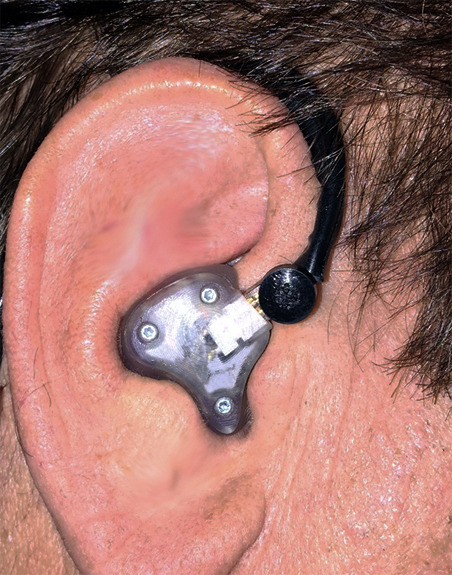 In-ear tracking has several benefits, the biggest being reading preservation. Reducing yourself off from noisy level pitching wedges is a strategy, as you can control your amount and mix as you want it without difficult. The negatives are, amazingly, just like pitching wedge monitoring: sometimes audience members force the in-ears higher than they should, losing that by doing so they can hit the same audio demand amounts as pitching wedge screens. Moreover, a lot of designers can’t get used to the privacy, which can be combated by using normal mics on level. 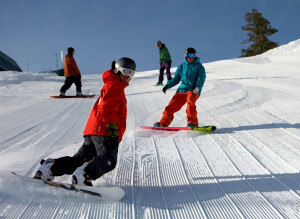 Congratulations to the Winners of the Posse Audio DigiTour Video Contest! Thanks to everyone who submitted their videos for the Posse Audio DigiTour Youtube Contest!